Shopping for a pre-owned vehicle can be a frustrating process. The stress and anxiety typically starts with trying to find out where to shop for a used car or truck near you. The number of car or truck buying options has exploded in recent times. This makes it tough for those wanting to purchase a good deal on their next car, truck, SUV or minivan. Normally not networked with other auto dealers. Searching for a specific car, truck, SUV, or minivan? You’re limited to cars or trucks in stock. Car or Truck Loan rates are frequently not as good. This suggests larger payments. Financing a certified pre-owned or a used car, truck, or SUV is just one of the advantages of choosing a franchise car dealership over an independent used car lots. A Volkswagen dealer has the ability to offer a large range of loan alternatives to its clients such as funding via your own local bank, credit union, or even Volkswagen backed funding. An individually owned car dealer might have a financial institution or more but normally those banks have more expensive loan prices. This often means less versatile car loan terms. Franchise owned dealers, such as Volkswagen, use ASE certified vehicle specialists, as well as cutting-edge vehicle repair service facilities with industry-leading tools and equipment. 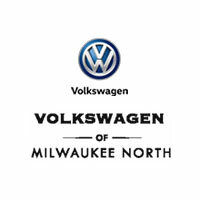 What is the benefit of taking your car to a Volkswagen auto dealership? Well, you will certainly be capitalizing on first-rate automobile repair work techs in contrast to taking your automobile to individually operated service center at an independently owned repair shop. Why Buy a Previously Owned Vehicle From Volkswagen Car Dealership? Purchasing a used automobile from Volkswagen dealership has many benefits as mentioned above. However, to sum up: quality previously owned cars, competitive rates, more car or truck auto loan options, state-of-the-art repair facilities, and in general greater industry standards than an independently owned repair shop makes this choice much less difficult.